Sleeping with your makeup on is a big no-no. But a hectic day or a late-night event can sometimes leave you too exhausted to bother with a complete CTM routine before you hit the sack. On those days, face wipes can be a lifesaver! 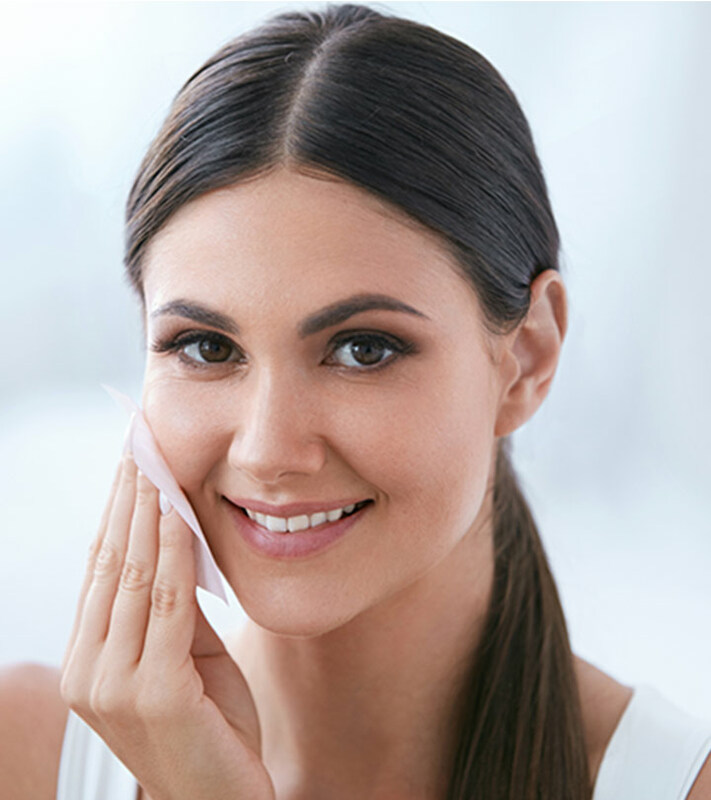 You can remove stubborn makeup easily and sleep with a cleansed face and zero guilt. 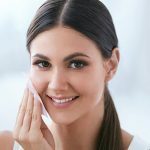 Read on to know about the best face wipes that you must try in 2019. 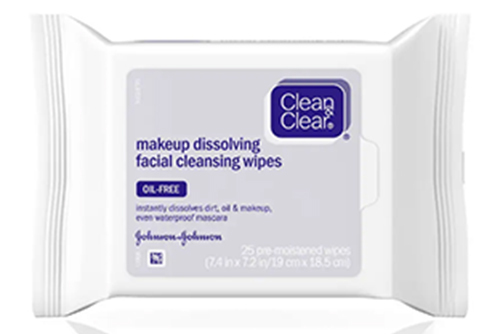 Clean & Clear Makeup Dissolving Oil-Free Facial Cleansing Wipes remove all traces of oil, dirt, and waterproof mascara without overdrying your skin. These makeup remover wipes are large enough to use on the entire face and contain a gentle formula that is safe to use around the sensitive eye area. 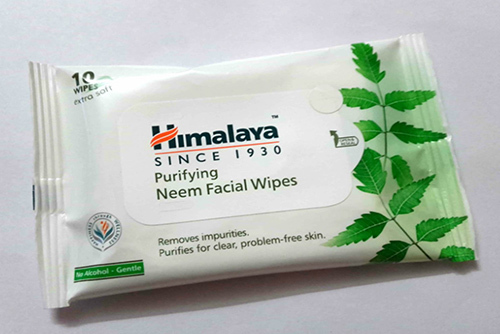 Himalaya Purifying Neem Facial Wipes cleanse your face with the goodness of neem and turmeric. Using these wipes after a day’s battle with pollution and dust helps keep your skin clean, pure, and fresh. These facial wipes are also a very convenient makeup removal solution. Neem tackles bacteria from the root and prevents pimples and blemishes, while turmeric is an active antimicrobial agent. 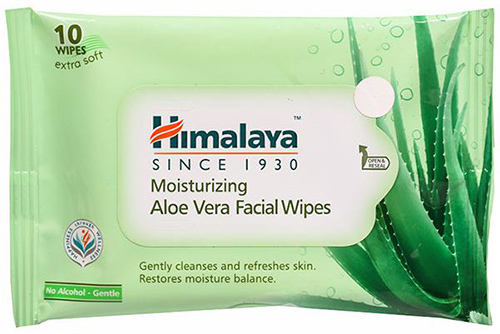 Himalaya Moisturizing Aloe Vera Facial Wipes help hydrate and soothe your skin while removing dirt and makeup effectively. The natural, gentle formulation instantly refreshes your skin and helps maintain its moisture balance. These face wipes are enriched with aloe vera and fig, which are known for their antioxidant and anti-inflammatory properties that soothe and protect your skin from damage. 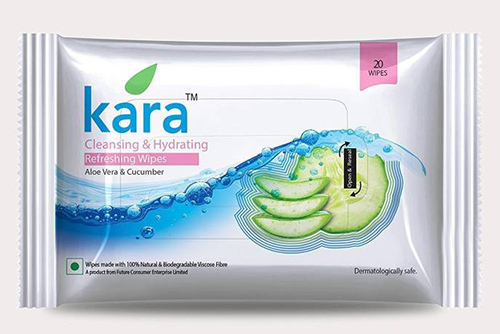 Kara Refreshing Wipes instantly rejuvenate your skin. They are infused with the power of cucumber and aloe vera, and they hydrate tired skin, remove dirt and grime, and leave behind a soothing sensation. They are made from 100 percent viscose and will not leave behind residues of lint. The pocket-friendly packaging makes it easier to refresh your skin anytime and anywhere. 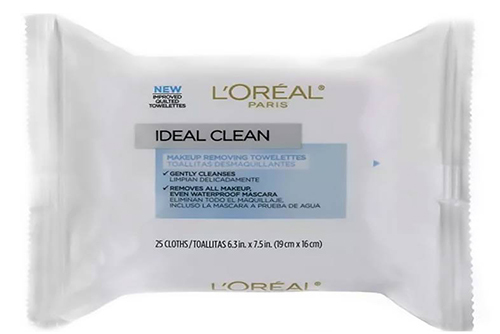 These ultra-soft towelettes from L’Oreal Paris remove all traces of makeup, mascara, and even long-wear makeup gently yet effectively. They dissolve dirt and oil to give you clean and visibly tight pores. These quilted towelettes come infused with grape extract and vitamin E to nourish your skin while cleansing it. Colorbar On The Go Makeup Remover Wipes are infused with aloe vera, chamomile, and glycerin. These gentle face wipes hydrate and nourish your skin while removing all traces of dirt, grime, and makeup, even the extra-stubborn, long-wear, smudge-proof, and waterproof kind. Use these to cleanse your face after a long day or freshen up instantly after a long flight. 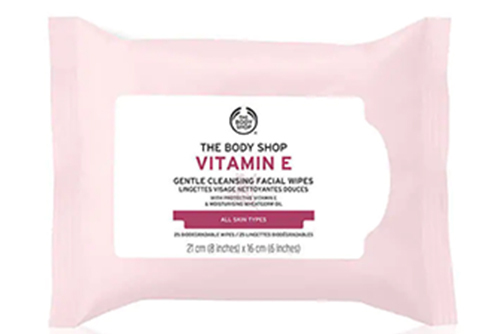 These pre-moistened face cleansing wipes from The Body Shop remove dirt, oil, and makeup without stripping or irritating your skin. They are infused with vitamin E and work gently on sensitive skin and give it a hydrated sheen. These multipurpose face wipes also cleanse, tone, moisturize, and protect the skin, leaving it feeling refreshed, soft, and smooth. 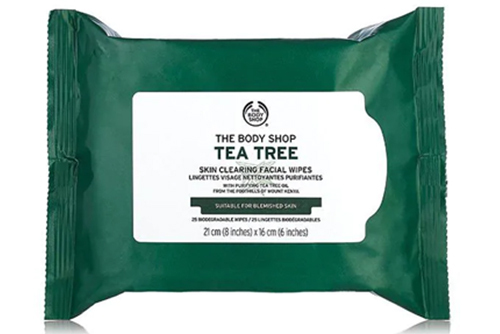 The skin clearing facial wipes from The Body Shop’s famous tea tree line are infused with the purifying tea tree oil, sourced from the foothills of Mount Kenya. These instant refreshing wipes are effective at removing makeup as well as pore-clogging impurities to give you a hydrating cleansing experience. These are also ideal to keep excess oil in check, both at home and while traveling. 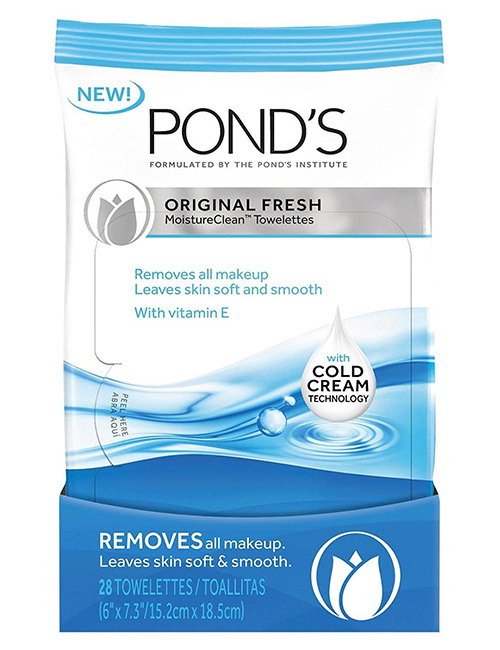 Pond’s Original Fresh MoistureClean Towelettes are gentle yet effective makeup removing face wipes that clean and freshen up your face in an instant. They are created using a smooth blend of fibers and polyester to deliver better absorbency and a smoother cleansing experience for the skin. The vitamin E and triple antioxidant complex recharge your dull and tired skin immediately. 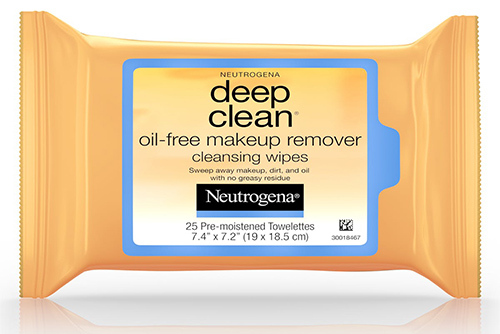 Neutrogena Deep Clean Oil-Free Makeup Remover Wipes are ultra-soft and pre-moistened to wipe away makeup, dirt, and oil gently. These wipes contain oil-dissolvers that go deep under the skin to remove pore-clogging impurities and leave your skin thoroughly cleansed. Not having to rinse afterward makes these wipes all the more convenient to use. Now that you know about the best facial cleansing wipes, try out any of them when you are on the go and need to recharge your skin instantly. Let us know about your favorites in the comments section below.